The Philippines still has no active Zika transmission, as of March 6, 2016. However, the virus has already reached China, with the 10th confirmed Zika case on March 1, involving a 40-year-old father with two kids who also contracted the virus, as reported by Xinhua News. The first and only Zika case in the Philippines, before that of the American who tested positive for the disease after staying in the Philippines for four weeks in January, occurred in 2012. The victim was a 15-year-old Cebu City resident. According to the Research Institute for Tropical Medicine (RITM), a DOH-attached agency, the boy did not travel to other countries. RITM Medical Specialist III Dr. Arthur Dessi Roman said that the carrier mosquito that bit the boy could have bitten a tourist infected with the virus first, which means that Zika is also a local disease. However, DOH spokesman Dr. Lyndon Lee Suy assures everyone that the country still has zero active transmission. DOH Secretary Janette Garin revealed that the American woman who was positively diagnosed with Zika spent four years in the Philippines. Her symptoms only surfaced on the fourth week. Now, the health agency is working with the US Centers for Disease Control and Prevention (CDC) to know more about the patient’s profile, especially the places she visited in the country, where she could have contracted the virus. Zika’s carrier is the same strain of mosquito that carries Chikungunya and dengue, the Aedes aegypti. However, Roman said that a mosquito can only carry one type of virus. 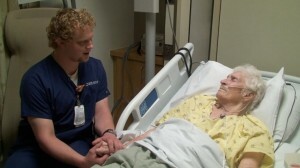 He added that the carrier keeps the virus in its salivary glands and transfers it through a bite to the patient. DOH has advised parents to postpone their pregnancy at least until 2017 or until we are better educated about dealing with the virus, especially with the threat of it affecting the country. Pregnant women and their newborns are the most vulnerable to the virus since Zika is known to cause microcephaly, which in turn causes developmental disability, mental retardation, possible inability to walk properly, and seizures. Philippine Obstetrical and Gynecological Society (POGS) President Dr. Bianca de Guia Fuerte advised pregnant women with symptoms of the virus to subject themselves to screening. These symptoms include muscle pains, fever, rashes, headaches, and joint pains. If their tests turn out positive, they will be monitored for a potential cause of microcephaly in their baby. Despite the constant monitoring of the Zika outbreak in Brazil in 2015, no vaccine has been developed just yet. It is important for every Filipino to be alert in detecting possible cases of Zika transmission and in tightening the screening process of everyone who gets through our country’s points of entry. Everyone can also contribute to preventing the spread of Zika in the country – by keeping the environment clean and free of mosquitoes. 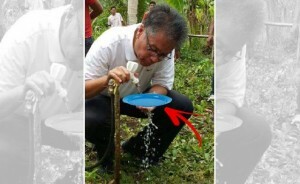 Is Mar Really Using A Plate To Drink Water? See the Truth Behind It! A Lady Motorcycle Driver Wearing Mini Skirt Fashionably Saved By This Brilliant Cloth.